I just adore the women who care for M and O at Kindy. They're beautiful people who lavish our kids with just the right amount of care and attention. They deserve so much appreciation. I left it to the last minute, but luckily I'd been thinking about end of year gifts for their teachers for a little while now and had a collection of ideas and the items I needed. 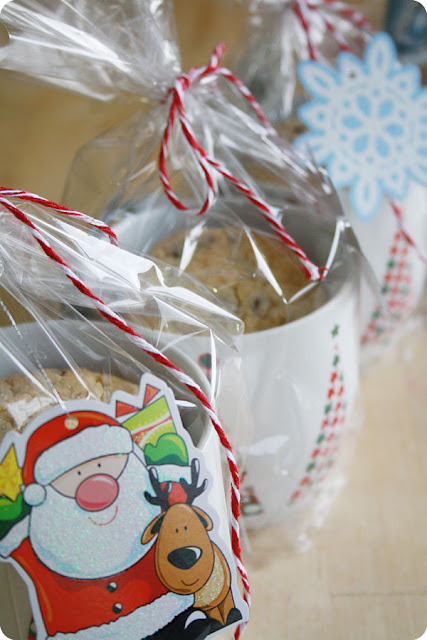 I bought some cute Christmas mugs, some clear treat bags and then got my bake on. 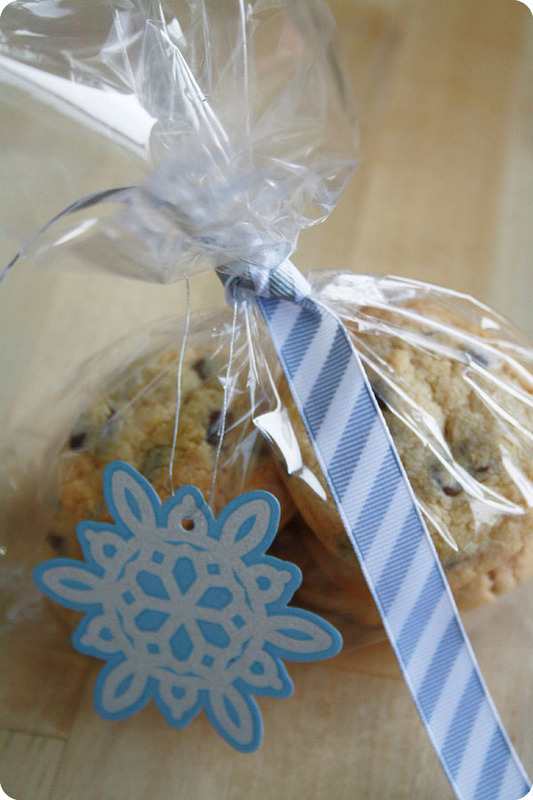 I made some delicious Chocolate Chip Cookies which are ridiculously good. I filled the mugs with cookies, slipped in a movie voucher and then tied them up in a clear treat bag with red and white twine and a little tag. I think they look very cute and the movie voucher gives a little added surprise. I hope they enoyed this gift, I loved making them. 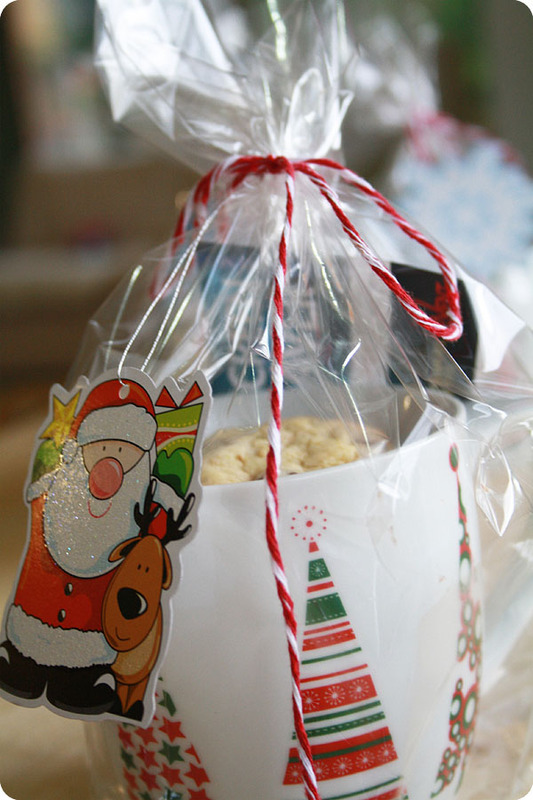 I had a few cookies left over, and rather than eat them, I packaged them up for my gorgeous hairdresser. She runs a very successful business from her home and she really does do a great job for such a very reasonable price. Did you give little gifts to your kids' teachers? What did you do this year?